In our chapter on remedies, we dewlt upon the fundamental difference between functional and constitutional rememedies. The functional remdies are those whose whole action is secured by one dose. No matter how long or often they may be repeated, the last does does not do anything more than the first dose. The constitutional remedies, on the other hand, like iron in anemia or mercury in syphilis, do not produce their effects in one dose, but only after prolonged repetion of many doses. The reason for this is plan enough, because constitutional medicines affect the constitution, so that it is not the same as it was before taking them, and require time to produce the desired effect. Functional medicines, on the other hand, do not affect the constitution, because the whole operation has been in one dose. On that account I cannot recommend for such a deep-seated constitutional disease a merely functional medicine like opium or any derivatives, like codein. - By William Hanna Thomson, MD LLD. The fundamental difference between functional medicines, which influence only functions, and organic medicines, which change nutrition of tissues or organs, would be more widely recognized but for the confusion which exists in many minds about the term “function.” Because function is deranged whenever organism is deranged, therfore, it is supposed that the converse of this statement is equally true, namely, that a derangement of function must always imply a corresponding derangement or organism. - W.H. Thomson M.D., LL.D. The volume for 1880 includes as appendix: By-laws of the society.-System of medical ethics.-Medical laws of the state [1806-80, including the act of 1806 to incorporate medical societies] Additional laws are included in subsequent volumes. Tags: Functional Remedies, W.H. Thomson MD. LLD. This text provides a clear and straightforward account of the biochemistry that is necessary to understand the physiological functions of tissues or organs essential to the life of human beings. Focusing on the dynamic aspects of biochemistry and its application to the basic functions of the body, the book bridges the gap between biochemistry and medical practice. By linking biochemistry, medical education and clinical practice this book proves invaluable to students in medical and health sciences, biomedical science and human biology. 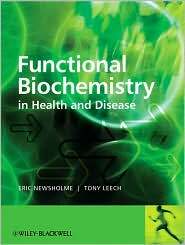 In addition it is of interest to biochemistry and biology students interested in clinical applications of biochemistry. The Immune System Under Siege New Clinical Approaches to Immunological Imbalances in the 21st Century: The Twelfth International Symposium on Functional Medicine. 21st Century Endocrinology Thyroid and Adrenal as Sentinel Organs: The 14th International Symposium on Functional Medicine. We are currently doing research to locate this book.